The ancient Greeks and Romans believed that sleep was a state akin to death, and invested great significance to the dreams that accompanied this state. A belief in the divine origin of dreams is one that the ancient Greeks and Romans inherited from the Mesopotamians and Egyptians, but one that they took to its ultimate extent, with the establishment of widespread dream oracles such as the cult of Asclepius. During this period, however, we begin to see philosophers and secular physicians question such superstitious beliefs, and put forth their own naturalistic accounts of both sleep and dreaming. 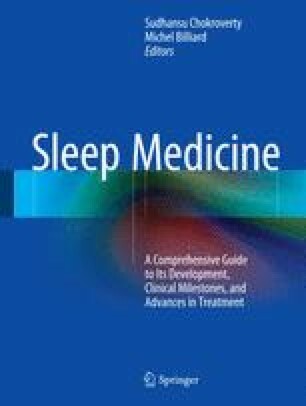 We also see, in this period, the importance of sleep and dreams for the earliest practitioners of secular medicine, and their attempts to translate naturalistic accounts of these phenomena into medical practice. Pseudo-Plutarch. PlacitaPhilosophorum. (Goodwin WW, editor. Plutarch’s Morals. Boston: Little, Brown and Company. Cambridge Press of John Wilson and son; 1874. p. 3.) Perseus Digital Library. http://www.perseus.tufts.edu/hopper/text?doc=Perseus:text:2008.01.0404:book=5:chapter=23&highlight=alcmaeon%2Csl eep. Accessed 3 Oct 2012.